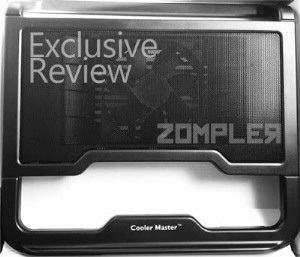 Cooler Master Notepal C2 Cooler Hands on User Review. Summer is creeping up fast here, and now it becomes really unbearable to work on laptops and desktops with no Air-conditioner on, they start to become real hot when you start doing some heavy work on them. I generally work on my Ivy-Bridge i7 processor which doesn't become hot very often and there are sometimes when it remains powered ON for full 2-3 days, you know overnight Downloading doesn't really give you a chance to turn off your PC :P.
But Coming back to the Heating issue, my i7 doesn't ever touch more than 20% processor usage even when doing the heaviest of processing, and temperature is generally around 50 even in the hottest working conditions, so why i need Cooling Pad ? The Answer is Gaming, when i am Gaming on my laptop it readily touches Temperatures in the Range of 80 degree Celsius after 2-3 hours of Heavy Gaming like Crysis 3 and Farcry 3, these are the heaviest games around you can find, so this gets me worried, because these kind of high temperatures are not really good for your GPU and CPU units, in fact Temperatures of more than 90 degrees can cause shutdown of many laptops as a safety measure. So, i recently checked out some cheap laptop cooling Pads on Flipkart and came across some cheap ones and some good ones, but the one that got my attention was Cooler Master Notepal C2 Silent Laptop cooler, the reason is that first its from Cooler master and they are world renowned for making good quality cooling solutions for Gaming Cabinets and laptops alike, and the second reason was that it was the cheapest cooling pad giving 1 year warranty again any working defects, so i bought that from local market and it was full 150 INR cheaper than Flipkart. Pros: Ergonomic Angular structure, Fan base covered, Metal mesh to easily dissipate heat, sturdy and unbreakable, USB Post extender, Noise-less. 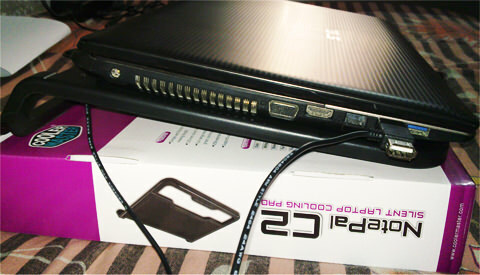 Cons: Non-adjustable and Single Fan, Small size supports only up to 15.4 inches laptop. Design: Design is very sturdy, clean and utilitarian. 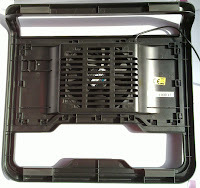 The Plastic Frame is just as sturdy as the Metallic Mesh and the bottom Fan cover, the Fan cover allows the fan to move freely even when it is put on a bed and the cover also protects against any damages and unwanted touching of the fan, there are some cooling pads in the market like the Deepcool ones which have their fans open and they look weird. 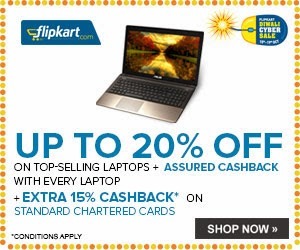 The Angular Ergonomic Design creates a comfortable typing experience for Notebook users, and leaves 2-3 inch space between the surface and cooling pad base which allows free air circulation, all you have to do is adjust your laptop to a position that the Fan is closest to air vents of your laptop. 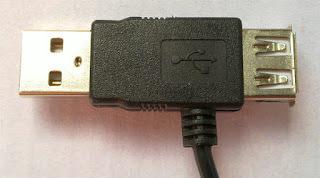 The USB Port used to connect the cooler to your laptop has an extender too if you ever run of USB ports to plug-in something else. 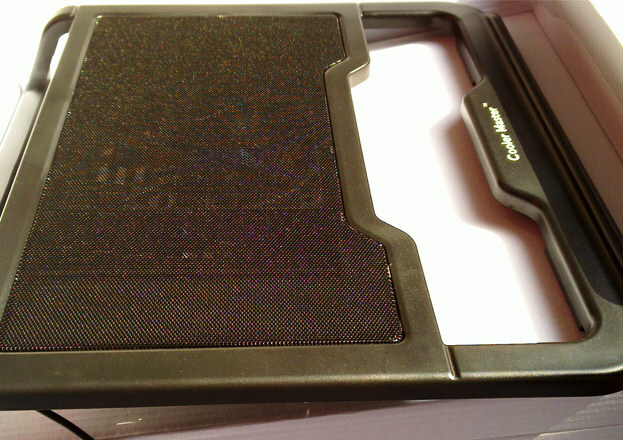 Performance: Earlier when i used to play some games like Farcry 3, the Temperatures generally hovered around 70-80 Degree Celsius, but when i tested the same using CM Notepal C2 cooling pad, The Temperatures dropped by around 10 degrees, and never went above 80 degrees. The Fan RPM is around 1000, give or take 10%, which is the Ideal RPM that a cooling pad should have, above that and it gonna be too noisy and shaky, and will be consuming more Battery. Fan Volume: When they say its Silent, they really mean it. The Fan doesn't even generate more sound than my Laptop when its Gaming, so you will not even notice the whizzing sound, The Mesh is tightly bound to the Rigid plastic body and this reduces any loose sounds, the reason that this produces so less noise even when giving enough airflow is the that the runs on much lower RPM than other coolers and has a bigger 120mm Fan. 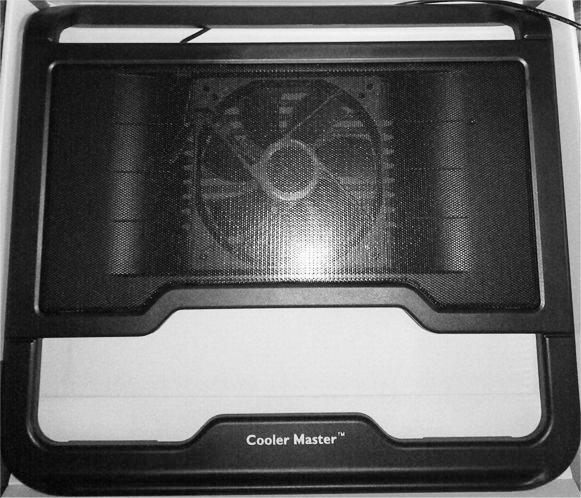 Verdict: Cooler Master Notepal C2 is a must buy for anyone looking for a Noiseless cooling pad with moderate cooling demands and Low cost with the reliability of Cooler Master, not for Laptops bigger than 15.6 inches.